Florida State Representative Heather Fitzenhagen was appointed to the Commission in 2017 by Speaker of the House Richard Corcoran. Originally from Dallas, Texas, graduated from Hollins University with a BA in political science and earned her J.D. from Nova Southeastern University Law School. With deep roots in Fort Myers, she has been a District 78 resident for more than two decades. Heather is currently an attorney affiliated with Morgan & Morgan. She is also a member of the Florida Bar, Lee County Bar Association, and Greater Fort Myers Chamber of Commerce. 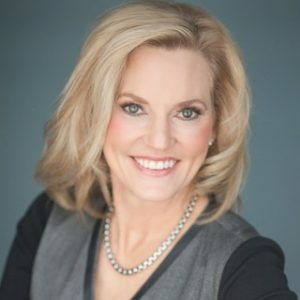 Her experience in the financial sector as VP for AIG, as well as business owner for Condo & HOA Law, PLLC (now GAD) has helped establish her as an all-around business leader. She currently serves on the advisory boards for PACE Center for Girls, the Fort Myers Women’s Community Club, and the Lee County Association of Women Lawyers. She is an active member and supporter of the American Heart Association’s Circle of Red and Executive Leadership Team, American Red Cross, Hope Hospice, Hollins University Alumnae Board, Barbara’s Friends, and a longtime supporter of the Golisano Children’s Hospital Initiative, to name a few. In 2013, Rep. Fitzenhagen was the only Florida Lawmaker to be selected as a Council of State Governments’ Henry Toll Fellow for the Class. She also currently serves as Chairwoman of the Florida Legislature Women’s Caucus and the Southern Republican Representative on the Executive Board of the Women’s Legislative Network of the National Conference of State Legislatures (NCSL). Heather Fitzenhagen is your Florida State Representative for District 78 in Lee County, where she serves the Civil Justice & Claims Subcommittee as Chair, and the Health Quality Subcommittee, Judiciary Committee, and Justice Appropriations Subcommittee.